Crochet and other handmade goods have exploded in popularity over the last several years. You probably know of at least one friend who runs an online Etsy shop, or sells at local craft fairs, and maybe you’ve been thinking about doing the same, but the issue of photography and money has you hesitating, or second-guessing your strategy. Don’t be discouraged! Taking good pictures on a budget is possible, and today I’ll show you how to save money while still getting the best pictures that will sell your product online. 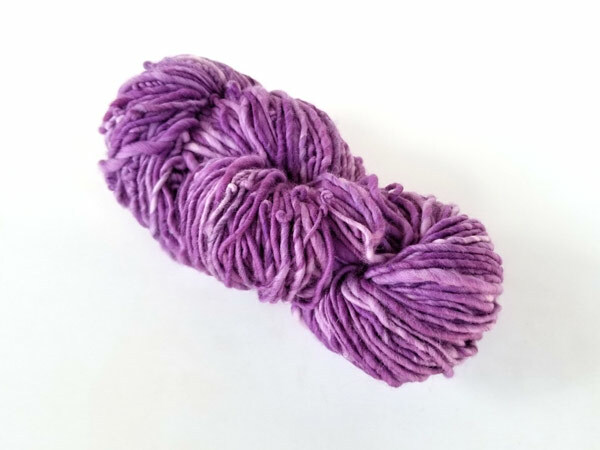 This article is specifically worded toward crochet items, but will work across all craft genres. As you discovered the other week, knowing how to read crochet patterns is a very exciting thing. Whole new worlds of pattern books and magazines open up giving you many more options when you go to create! 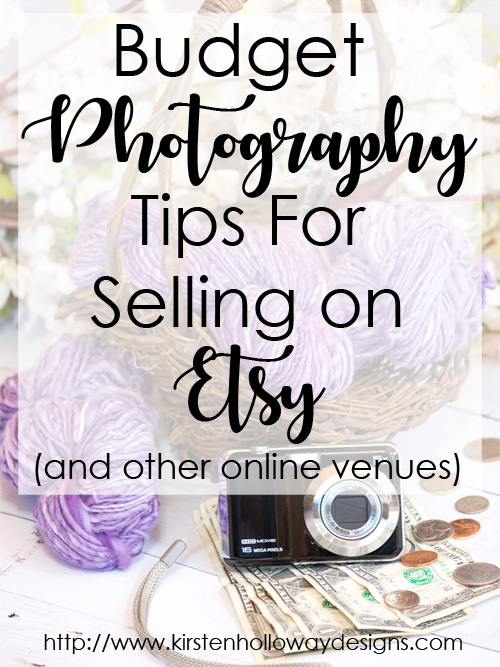 If you’re one of those people who wants to take their new-found skill and turn it into a business–whether that means selling on-line on Etsy, or at a boutique/farmer’s market–knowing how to take good pictures is a must! In fact, good photography is so important that it will make or break you in online marketplaces! Don’t panic though! I’m going to be covering money saving tips, as well as a few do’s and don’ts in today’s post to help you get on the right track, and stand out as you market your products. AND EVEN IF YOU DON’T PLAN TO SELL your work now, this information is something that can be used to improve your casual picture taking! How you present your product will make the difference between someone scrolling by, and them actually clicking the link to purchase. If you’ve worked doing any kind of sales before, you know how important marketing is, and if you haven’t, you’re about to learn. Take a look at the most popular listings on Etsy, and you’ll notice that many are shot on a neutral background in natural daylight. Doing things this way allows the potential customer to see the product fairly close to how it will appear in real life. It also presents the product in its best light (no pun intended) and put the focus on what is being sold. You typically have less than 3 seconds to capture your audience’s attention (if you’ve read this far already, it worked on you!) and, like it or not, on Etsy or Pinterest this is done through your photography skills. Even if your product is perfectly made, if someone else has brighter, better quality images, their product will get more clicks. So how can you, as a beginner, create images that catch people’s attention without the use of $1500 cameras and $60 backdrops? Keep reading. While having a professional grade DSLR (Digital Single-Lens Reflex) camera is nice, a simple point and shoot device (or a quality cell-phone) can often do the trick when you’re just starting out. Here are several money-saving tips and hacks that beginners can do to achieve good results, and not break the bank. If money isn’t as much of a holdup for you, I’ll let you snoop in my equipment bag at the bottom of the post. Professional backgrounds can be spendy, but many craft stores, and online retailers have started selling rolls of paper under $20 that are printed to look like the white wood, or marble backgrounds that are so popular right now. Sheets of white poster board can even work in a pinch for smaller items. If you want to take it to the next level, one simple hack is to buy several large sheets of foam board, and use spray adhesive or glue to attach paper back drops to the board. This makes a sturdier prop. It is important to note that paper is not the longest lasting material, so if money isn’t as big of an issue, Ink & Elm is the company I purchase backdrops from, and I can’t recommend them highly enough. This goes along with the lighting category, because sometimes you will have great light on one side of the product you are shooting, but not on the other, and the goal is to have the entire piece well-lit. You can create your own reflector using a piece of cardboard and aluminum foil. Find a good-sized box, cut out one of the sides, and cover it with aluminum foil. If you can’t find a good sized box, cover one of your foam boards in aluminum foil. Move the reflector around until your product is lit from all sides. Make an additional reflector if you need to. A good Tripod will be your best friend, and is a key part of achieving the clearest picture possible, especially if your light isn’t so great. If you have a higher-end camera, make sure your lenses also have VR (vibration reduction) turned on. If you can’t afford a nice tripod, you can make a monopod (single leg) out of a broom handle (unscrew the head from the handle first), or length of PVC pipe. In a pinch you can even brace against your body, by crouching down, tucking your arms in, and resting your elbows on your knees to reduce blur. If you’re shooting in daylight though, this should not be as much of an issue unless you deal with some kind of a tremor. For years the industry standard for photo editing has been Photoshop, but what if you don’t want to pay the subscription fee or spend the time to learn it? There are other alternatives! Canva is popular because it’s free, and also allows for easy Pinterest pin creation. There is also an app for Apple devices or Android devices. Pixlr is another online photo editing program. There is also an Android app (I use this frequently for images I post on Instagram). If you need an image editor with a bit more umph, GIMP is a free program that has much of the same functionality as Photoshop does—it even reads files created with Photoshop! There’s quite a bit of a learning curve, but it is a powerful tool! Now that you know more about the equipment you’ll need to achieve those beautiful Etsy or Pinterest-worthy shots, let’s talk basic do’s and don’ts. Direct sun tends to wash out some colors, and/or leave harsh shadows. The goal of your shots is to capture as much true-to-color detail as you can, and the best way to do that is shooting in the shade. There are graphics programs that can lessen the effects of harsh contrast, but it’s faster and easier to shoot it right the first time. Here is an example of a hank of yarn shot using my cellphone in direct sun. The color is actually pretty good, but that shadow is really distracting. 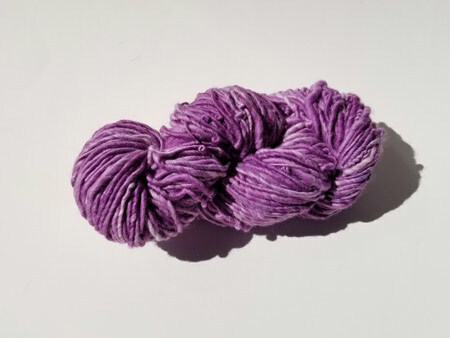 Here is the same hank of yarn shot on a light background in indirect light (outside in the shade on a sunny day). This provides the best canvas to show off your product without distractions. Your audience is there for the item you made, not the background. Unless your background enhances the effect of your product, keep things minimal. As I mentioned earlier, white wood, and marble backgrounds are popular for the crafting/DIY niche, but a plain white background can often be all you really need. Show off your product from every angle. Your customer can’t pick up the item and look it over to make sure it fits their needs, so make it easy and do it for them by providing several different views. This is the part that grabs our attention. We are highly relational creatures who crave connection! I’m drawn to eyes in Amigurumi, stuffed animals, paintings, and figurines. 1. Don’t shoot at night, unless you have good quality studio lights or a light box. It’s 10:30 at night, you just finished your latest project and are excited to share it with the world! But wait, shooting at night in the average home often gives pictures a yellow tint, at best, and most are grainy or blurry because, even though cell-phone cameras have come a long way, the light sensor just can’t get enough light to capture a high quality image. Unless you have a light-box (My friend Katie, from Salty Pearl Crochet highly recommends this light-box) or high quality indoor studio lighting set, avoid the night-time shoots. 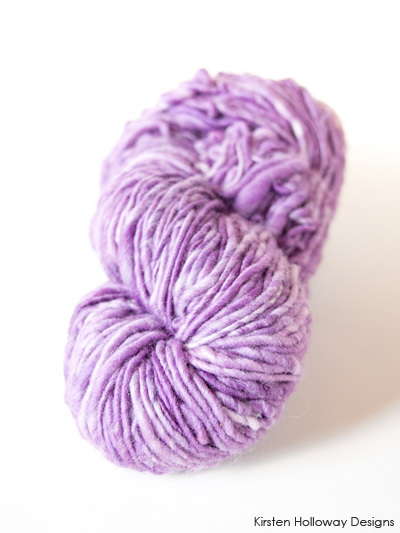 Here is an example of the same hank of yarn shot in a darkened room with artificial lighting (overhead light). This is NOT the kind of image you want to use to sell on Etsy, or other online venues. 2. Don’t shoot pictures that have people wondering more about the supplies on your desk, or pile of laundry in the background than they do your product. Using the built-in flash tends to lead to a very hash look (much like direct sunlight). It may light your subject up, but it also darkens your background, and doesn’t look as “professional”. Don’t get me wrong, professionals do use flash, but they know how to adjust the intensity to give a more natural look to the image. Unless you know how to do this, stay away from flash. Inaction due to fear is the number #1 killer of dreams. Do your best with the tools you have. If you don’t try you’ll never improve, and taking better shots is a goal all photographers (even the pros) are working toward. Following these simple rules will help your product shine in the best possible way, and should encourage people to click through for a closer look. If you want to improve your photography skills, getting comfortable with the settings on your camera is a good idea. This section briefly covers a few basic settings that will improve the quality of your images. It is a general overview, meant for beginners, so I’ve purposely kept things short, and hopefully simple. Most of the settings discussed here will be in your camera’s menu. There is a LOT more information on all of these settings and how they work together to achieve the perfect exposure that I haven’t covered, but hopefully this gives you a good starting point in your photography journey. Please refer to your owner’s manual for instructions on how to change them, as this section does not cover that. Remember when I mentioned how indoor light sources can leave your image with a yellow/orange tint? Manually adjusting your “white balance” can correct some of this (I still recommend shooting in natural daylight though). If your camera has the feature, the most common options are Shade, Sun, Fluorescent, and Incandescent. You will need to switch your shooting mode out of SR (Scene Recognition) or Auto in order to adjust these settings. Always shoot on the highest quality setting your camera will allow. Many cameras show this with a S, M, or L, referring to file size (small, medium, large). Always go with the L. This uses more space, but also makes images easier to edit because more information about the image (stored in pixels) is saved to your card. These settings that have been calibrated to help your camera work at its best in various situations. They should provide better results than shooting in full “auto” mode. They will usually appear as icons located on a wheel on the top of your camera, or in a settings menu (look at your owner’s manual to locate them): a person running (sports), a close-up of a person’s face (portrait), a flower (close-up), a night scene (night) , a landscape, etc. If you have a newer point and shoot camera, it will most likely have some or all of these scene options. Even my son’s $65 FujiFilm camera that we picked up a couple of years ago has many of these options in the settings menu. If you have photographer friends, more than likely you’ve heard them mention aperture, and shutter speed. Lower-end cameras automatically set these for you based on the “scene selection” you choose. Aperture refers to the opening in the lens that lets light in. It can be wide or narrow, depending on how much light is required to get the picture. Shutter speed is how long the shutter stays open to let in light, before it closes, in order to capture the shot. These settings are typically only available to adjust individually on higher end cameras, and when paired with a quality light sensor, is how those beautiful blurry backgrounds are achieved. That was a lot of information to cover, and if you can’t take it all in right now, don’t worry. Bookmark this page, then come back to it in a day or two and reread the information. Implement the techniques a little at a time until they become second-nature. Technique is something that is developed over months and years, and the more you immerse yourself into photography the better you will get (and the lighter your pocketbook will become). Remember, the best shots tell a story. Your images should evoke emotions that capture your audience’s attention, as this will literally help you sell your products. Online marketplaces, and Etsy especially, are highly competitive, but if you take the time to take memorable photos, (and get your keywords right), you will notice a difference in your shop views and sales—even if you’re shooting on a budget! 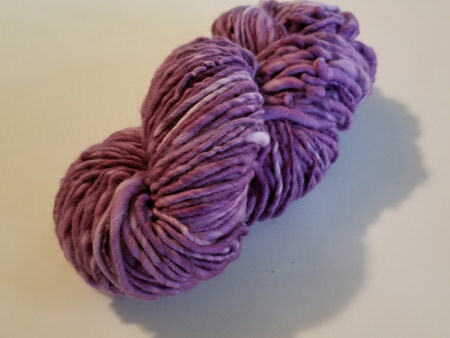 If you loved the yarn I showed off in today’s article, you will be able to purchase it soon in the Made by Novella Etsy shop. Here’s what I am personally using to shoot right now. Most of it falls in the low to mid-range as far as expense goes. I’ve also included links so you can purchase, or look at the reviews for yourself. The link above is a similar tripod to the one I have. They do not appear to sell the same one anymore. Thank you so much for stopping by! Please feel free to sign up for my newsletter if you enjoyed this article. 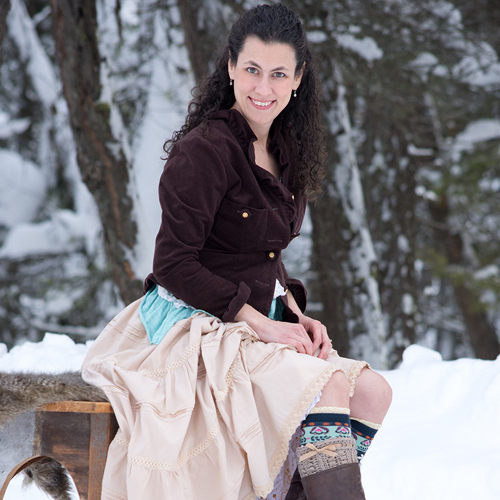 You can also follow me on Facebook, Pinterest, Instagram, and Ravelry. for more (free) crochet patterns and educational articles! This post contains affiliate links. When you purchase something using these links a small amount of the sales price goes to me, but you do not pay any extra for the item you purchase. How cool is that? !